In what appears to be the latest trend in Tollywood, hitherto unknown local places along with their language and customs seem to be providing a new landscape for filmmakers. While previous Telugu films thrived on urban backdrops, showing the protagonist working in a software company or as the owner of a big company, the trend is now slowly moving towards rural landscapes. Take the case of Rangasthalam, one of the biggest hits of the industry which was set in a village near Rajahmundry. Or the trendsetting RX 100 which was entirely shot in a village called Atreyapuram in Godavari district. 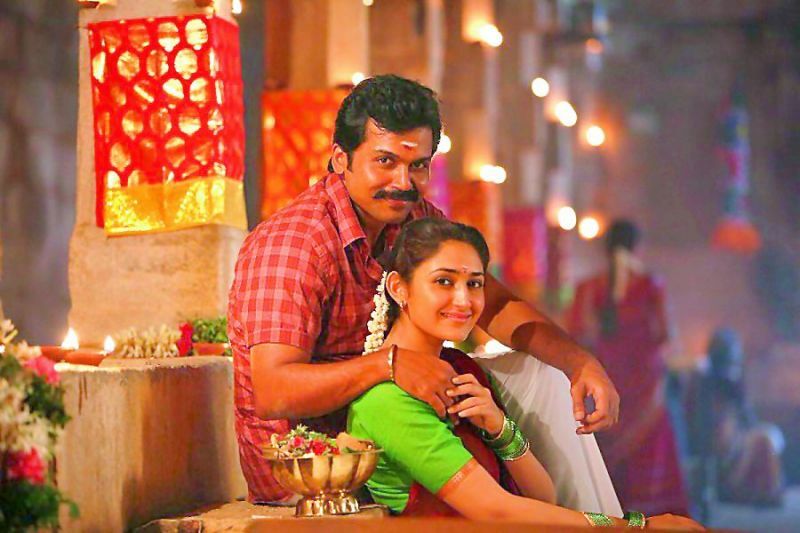 A still from Karthi’s film Chinna Babu. “I wanted to recall our childhood days and that’s how I wrote the story of Rangasthalam,” says director Sukumar, who made the hit period drama. “These are my childhood memories and that’s why I chose a complete rural drama. I am confident that there will be many more films in the near future with rural backdrops that will give the present generation a glimpse of the people, places and the emotions of the early ’80s,” he explains, adding that these subjects are far more realistic when compared to larger-than-life roles. “One can see real-life characters in these kinds of films and everyone can connect to them,” he adds. While the previous generation of actors like NTR, ANR, Krishna, Sobhan Babu and Krishnam Raju did many films with a rural backdrop, the trend seems to have returned in a big way now with recent films like Guntur Talkies, Rangasthalam and RX 100. The trendsetting film RX 100 was entirely shot in a village called Atreyapuram in Godavari district. “There are many subjects if you go deep into Telangana or Andhra Pradesh. If you travel to places like Srikakulam, Vizag, Godavari areas, Warangal, Nizamabad and the interiors, you can find plenty of stories. No doubt coffee shop or college love stories are common, but there are love stories in rural settings too,” says Ajay Bhupathi, the director of RX 100, who adds that his story is inspired by a true incident that happened in Godavari. Interestingly, in both Rangasthalam and Guntur Talkies, all the characters speak in the local lingo and accent. Most of the characters in Tharun Bhascker’s recent film Ee Nagaraniki Emaindi are also shown speaking with a Telangana accent. Actress Samantha Akkineni sported a rustic look in the movie Rangasthalam. “Yes, many of them are from Hyderabad and I asked them to speak in their native tongues,” says Bhascker, who is already planning his next film. “I want to make a film on the famous cockfights of Bheemavaram. The characters will speak in the native accent.” he says. 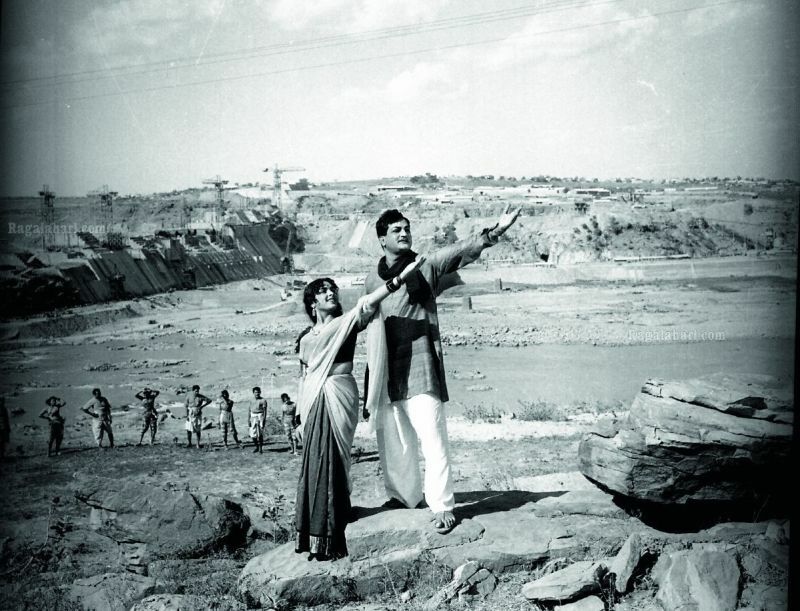 NTR and L.Vijayalakshmi in a still from the classic movie Ramudu Bheemudu. The small film C/o Kancharapalem that was recently screened at the New York Indian Film Festival found its origins in Kancharapalem, a famous spot near Vizag. “I observed the local people and their daily life and that’s how this film happened. All the actors are also local people from that place,” says the director Venkatesh Maha. Going by the success of all these films, it appears that highlighting rural life and landscapes is the new trend in Tollywood. With several young directors already going the ‘native’ way, others are sure to follow suit.